How to best treat the annoying affliction known as post-nasal drip? Medication and lifestyle changes often are the best methods. The accumulation of mucus is never fun; post-nasal drip can be treated with medication to relieve symptoms. And its helps to keep your living space free of dust. Post-nasal drip is the accumulation of mucus, usually in your sinuses, that moves down the back of the nose into the throat. It can be an annoying and disruptive condition, but one that’s treatable by post-nasal drip remedies, both pharmaceutical and natural. Your body makes about one to two quarts of mucus every day to help trap and destroy foreign particles like dust, bacteria, and viruses before they can cause infection. Often, this mucus mixes with your salvia and drips normally down the back of your throat and is then swallowed. However, your body sometimes may produce excess mucus, which makes the drip more noticeable—hence the need for post-nasal drip remedies. Common causes of post-nasal drip include colds and flus, allergies, sinus infections, and deviated septum. Other causes are medications, such as blood pressure medications and birth control pills, along with spicy foods and fumes from chemicals, smoke, and other similar irritants. Post-nasal drip symptoms can include a stuffy nose, the persistent need to cough up phlegm, and a hard-to-shake sore throat. Postnasal drip can cause hoarseness and the constant feeling you have something in your throat. Post-nasal drip remedies depend on what’s causing the problem. For instance, bacterial infections are treated with antibiotics. 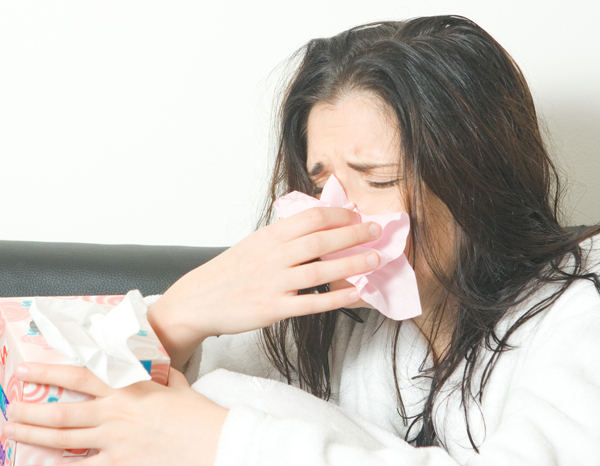 Antihistamines and decongestants can help with postnasal drip caused by viral infections. They are also used with steroid medications for drips caused by allergies. Be mindful that some older antihistamines brands may dry and thicken post-nasal secretions even more. Check with your doctor about recommendations. Increasing your intake of fluids, especially for older people, can dilute secretions so they pass more easily. Avoiding caffeine and, with your doctor’s approval, diuretics (fluid-eliminating drugs) also can help. Wash all sheets, pillowcases, and mattress covers often, and in hot water. Use special HEPA (high-efficiency particulate arrestance) air filters in your home. Dust and vacuum on a regular basis. allergies, allergies sinus, antibiotics, bacteria, birth control, blood pressure, blood pressure medications, caffeine, Deviated septum, disease gerd, food, gastroesophageal reflux, gastroesophageal reflux disease, gastroesophageal reflux disease gerd, gerd, gerd causes, infection, lump in the throat, mucus, nasal drip, otolaryngology head and neck surgery, post nasal drip remedies, post nasal drip symptoms, reflux, sinus, sinus infections, sleep, sore throat, strength, stress, stuffy nose, throat treatment, what is gerd.